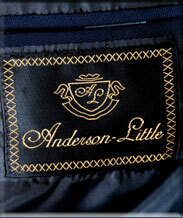 Anderson-Little offers a 100% unconditional satisfaction guarantee for 90 days on unworn garments. Should you wish to return your unworn garment within 90 days for any reason please call 1-800-905-5994. We will be happy to furnish you with a return shipping label for a flat fee of $9 or you may choose to do so at your own expense. Thank you.